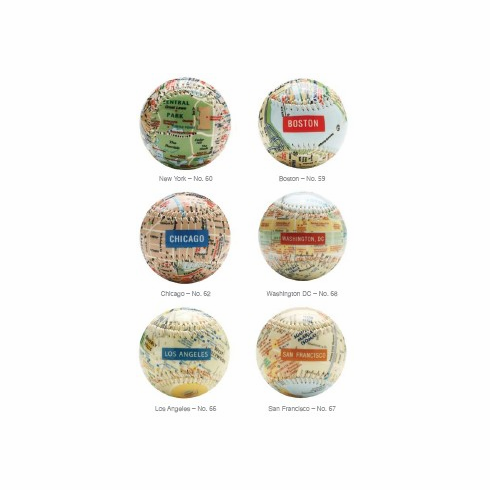 These handmade, standard baseballs feature your favorite city maps all around. Wrap around gloss finish. Each baseball comes in clear packaging. Boston and DC are OUT OF STOCK.